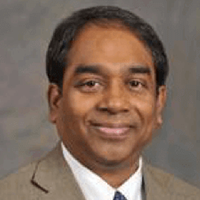 Dr. Babu Lourduraj John Mariadoss is associate professor and International Business fellow in the Department of Marketing and International Business at WSU’s Carson College of Business. He received his Ph.D. in business administration (marketing) from the University of Houston and teaches courses in international marketing and doctoral seminars in research methods and marketing strategy. Dr. Mariadoss’s primary research interests focus on various aspects of marketing strategy theory and practice, specifically business-to-business relationships, sales strategy, and branding strategy. In 2008 he received the Mary Kay Dissertation Award from the Academy of Marketing Science and the AMA Sales SIG Doctoral Dissertation Award from the American Marketing Association’s Selling and Sales Management Special Interest Group. Dr. Mariadoss serves on multiple editorial boards, is the faculty advisor of WSU Marketing Club and holds membership in a variety of professional associations.